All that is necessary to cause and sustain mold growth is an adequate moisture source, dead organic matter to breakdown, and comfortable temperatures. Unfortunately, mold is most comfortable in the same temperatures humans prefer, and all that cellulose-based building matters (wood, wallpaper, drywall, etc.) would make a delicious feast for mold. All that is missing is moisture. If you suspect mold development in your Chesterfield, NJ home or business, it is the consequence of an unwanted water source. You need to contact a certified NJ mold removal professional to properly address the mold contamination and the water source immediately to avoid further damage. The nature of mold allows it grow on nearly any and every surface. Mold growth can be worse than it appears. Only a thorough mold inspection in Chesterfield, NJ completed by a certified professional, can determine the full extent of the mold contamination. We fully train and certify each MasterTech mold inspector. Through the use of moisture meters, thermal imaging readers, and mold testing, our inspector will be able to safely diagnose your mold problem and prescribe an appropriate mold remediation plan. When hiring a mold professional, know that a mold remediation done wrong can leave you and your family with more problems than you started with. A bad mold remediation can lead to more property damage, allow further mold development, and result in costlier repairs. At MasterTech, we understand these consequences. 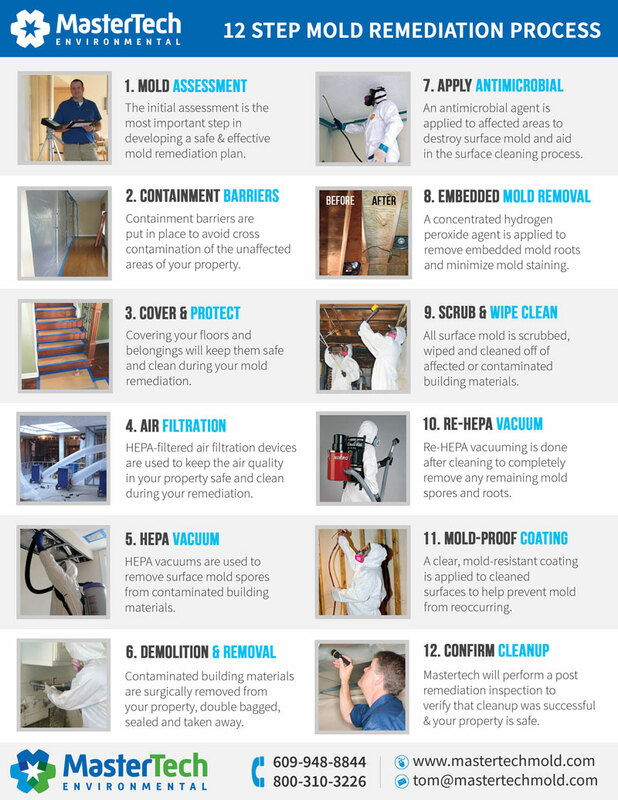 That is why we have taken time to carefully develop a step-by-step process that integrates the safest, the most effective, and the most advanced methods and technologies for each mold removal in Chesterfield, NJ. MasterTech will always prioritize you and your family’s safety and well-being. We are committed to providing the highest quality mold remediation in Chesterfield, NJ. Each MasterTech mold remediation is backed by a 5-year mold-free warranty. It is our promise to you and your family that the mold is gone, and it will not come back. 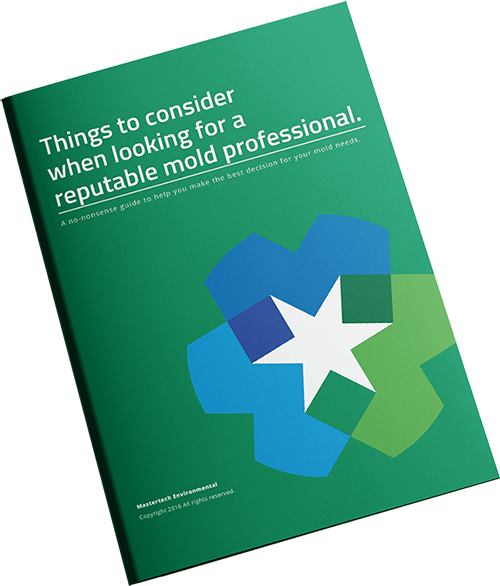 When it comes to mold, getting the job done wrong can have serious and costly implications for you, your family, and your home. That is why it is important to do your research and find a company you can trust to prioritize you and family’s safety and well-being. A mold contamination can threaten you and your family’s safety and diminish your property value. If you are suspicious of mold growth in your home or business, call MasterTech today to schedule a mold inspection in Burlington County, NJ. For mold inspection and mold removal in Mount Laurel, NJ or mold inspection and mold removal in Shamong, NJ, call 1-800-310-3226!